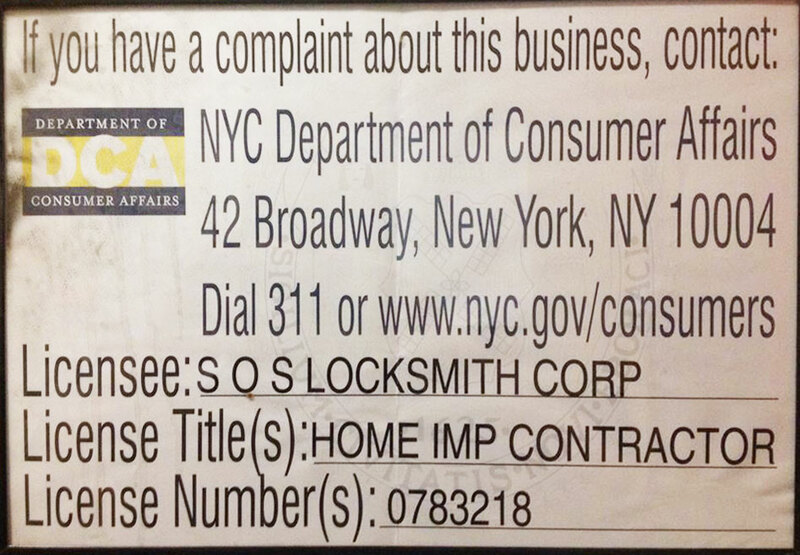 Since 1973 thousands of clients in entire Manhattan or NYC area have chosen SOS Locksmith NYC to protect their homes and families, office or facilities. We specialize in complete security solutions to protect you, your family, and your home and we will provide you a personal locksmith service that will best fit your needs and budget. SOS Locksmith is a licensed, bonded and insured locksmith company provides fast, reliable & professional 24 Hour Emergency Locksmith services. We provide complete, affordable, fast and professional locksmith services for the entire New York City area. Our trained technicians are equipped with the latest modern technology and are available 24/7 at your request. We stand behind our workmanship 100% client satisfaction guaranteed. Locksmithing date back to 704 BC when the oldest lock was discovered in the ruins of the Assyrian Empire city of Khorsabad. Those locks were generally made of wood and were very rudimentary in shape and function. With advances in 18th century metallurgy, blacksmiths began shaping metals into new devices to improve and modernize security. Through this, the modern locksmith was born. Today, the word "locksmith" embodies much more than simple locks. Locksmiths install advanced CCTV systems, multi-building intercoms, safes and even craft custom doors. Of course, a professional locksmith keeps up to date on high-security locks including, electronic-locks, magnetic cylindrical, mortise, and deadbolt locks. Locksmiths are needed to install security technologies in athletic stadiums, apartments, homes, hospitals, hotels, offices, schools and many other commercial and residential properties. SOS Locksmith provides 24 Hours Locksmith solutions to NYC residence. We brave security threats with a personalized solution. Our residential locksmith an commercial Locksmith are always equipped for your immediate need. If a key breaks in your car door and you're trapped in an unforgiving snow, we'll join you with our snow boots, remove the broken key, cut a new one and get you on your way. We eliminate emergency wait times, efficiently resolve on-site lockouts, perform lock changes, rekey and replace any locks. Wherever your security may falter— rain, wind, sun or snow— our reliable 24/7 locksmith service will prevail. S.O.S. Locksmith meets you with an affordable rate and trusted locksmith anytime you call on us for a solution. SOS Locksmith provides commercial locksmith, our 24 hour locksmith service includes outfitting commercial properties with comprehensive security solutions. For advanced security needs, we offer installation and repair of high-security locks and cylinders, alarm systems, internal intercoms, CCTV and access control systems. That's just scratching the surface. S.O.S. Locksmith also partners with restaurants, hospitals, institutions, and retail establishments among other clients. A lock is only as strong as its door. Need a special entry door for your commercial space? We install aluminum, wood, steel, fiberglass and Heruclite doors for New York City restaurants and commercial management offices. At SOS Locksmith., we work with building managers to meet building requirements and expedite service times when functional security is immediately required. SOS Locksmith provides residential locksmith services for homes, apartments, condos and building in NYC. SOS Locksmith has been the NYC leading residential locksmith company provider since 1973. 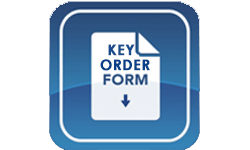 Our locksmith company carries the top quality household door locks from Mul-T-Lock, Schalage, Kaba, Medeco Locks just to name a few. We are known for our fastest response time and the lowest service rates for locksmith. At SOS Locksmith we know the important Intercoms systems they highly beneficial in commercial and residential properties. S.O.S. Locksmith provides multi-room and multi-building intercommunication for these spaces. We install cross-operating intercom systems for both internal and external use and can link them with mobile technologies to control lighting and access control systems. The kingdom of an intercom system begins with a master station or base station, followed by sub, door, intercom and wall mounted stations. S.O.S. Locksmith can repair existing systems or upgrade your office, apartment complex or other residential or commercial property. We will ensure your intercom system functions flawlessly and always sits attractively in the space where it's installed. S.O.S Locksmith installs high-performing custom doors and factory doors for commercial and residential properties. Doors are terrific first impressions for homes, restaurants and street-facing businesses. When selecting or customizing a door it's important to have a number of choices that fit your unique location. We assist you in accounting for particular building regulations and ADA codes and compliance. Then we help select a door material such as aluminum, wood, steel or fiberglass. After, we can add custom designs, manual or automatic door operators and then install with professional technicians. You can design and customize glass doors for restaurants, mall fronts, offices, hospitals, institutions or simply a conventional door for your home; we also offer fire-rated doors, commercial grilles, sectional doors and overhead doors. We ensure all entrants, will be impressed by the custom design and functionality of your new and improved entryway. S.O.S. Locksmith offers an impressive inventory of safes. We carry deposit or drop safes, fire-rated safes, office safes, gun safes, data and media safes, wall and floor as well as heavy duty commercial safes. If an additional security presence is needed in your commercial or residential property a safe might be the best solution for you. S.O.S. Locksmith will help determine the dollar value of a safes' contents and provide installation wherever it is required. A professional technician will assist you with a safe that varies in resistance to tools, torches and breach times. Whether you need a high-security safe that prevents drilling, or a simple safe that provides moisture and fire resistance for your home, restaurant or retail space, S.O.S. Locksmith has a safe to secure your valuables. S.O.S. Locksmith installs a wide range of closed-circuit television (CCTV) systems. This includes (but is not limited to) installation for apartments, homes, banks, casinos, airports, department stores and educational facilities. CCTV installation provides bullet, dome, varifocal, network/IP, wireless and high-definition camera models among others. We install CCTV systems on nearly all commercial, residential, State and National properties, and are happy to provide services to repair existing systems or completely overhaul and install a new system with highly-skilled technicians.